Eyes are the first feature that we notice in a person, and thick, luscious eyelashes make eyes look attractive and beautiful. Eyelashes are formed of delicate hair strands that protect eyes from dust and dirt. Apart from serving practical purposes, they have also been considered a sign of with beauty and femininity for ages. By adding definition to the eye, long eyelashes make them appear bigger and brighter. Hence, it is no wonder that there is a thriving market for mascaras and eyelash extensions that improve the appearance of natural eyelashes. However, these are temporary fixes and will not help you achieve permanent and authentic dark and long eyelashes. Fortunately, there are natural remedies that can help you achieve permanent and effective results without any of the unwanted side-effects of synthetic cosmetic products. Applying olive oil to your eyelashes is one such remedy. Olive oil is a natural product with powerful hair growth properties and it can effectively increase the volume and appearance of eyelashes. Let us try to learn more about this oil and how to use it for improved eyelash growth. For centuries, olive oil has been a household staple in the Mediterranean regions, where it is used in cooking and preparation of various culinary delights. 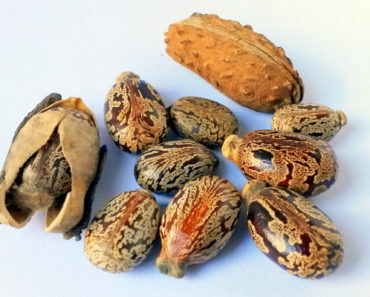 However, having recognized the powerful skin and hair care properties of this oil, women in these regions have also used it abundantly in various skin and hair remedies. Traditionally, olive oil was extracted from washed and dried olives by crushing them between big stones to produce a paste. This paste would then be spun in a centrifuge to separate the oil from water. Nowadays, steel blades have replaced stones. But the rest of the procedure remains the same. Natural olive oil is a rich source of essential fatty acids like oleic acid, palmitic acid, squalene and terpenes. 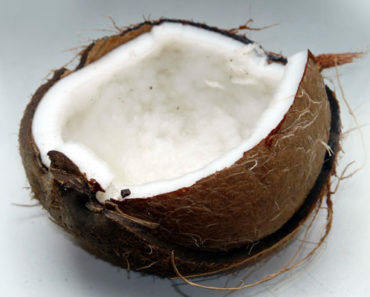 These fatty acids are excellent emollients that penetrate hair strands to moisturize and soften hair from deep within. So, applying olive oil imparts a healthy, lustrous sheen to the hair as it coats the surface of each strand to form a protective barrier that prevents hair breakage. Olive oil also has Vitamin E, an effective anti-oxidant that protects hair from sun damage, effects of pollution and free radicals. Oleuropein is another ingredient in olive oil that accelerates hair growth. The different ingredients in olive oil act together to enhance hair growth and make strands thicker and denser. Hence it is highly effective in improving the appearance and volume of natural eyelashes. Although there are scores of ingredients in the market that improve hair growth, not all of them are useful or safe to use in the eye area. Since eyelashes are very near the eyes, you should use only safe, non-irritating and natural ingredients for their growth. Olive oil is a safe and effective solution in this regard. Apart from being safe to use in the eye area, here are the other factors that make olive oil an effective remedy for eyelash growth. Olive oil strengthens hair strands from root to tip: Olive oil has the unique ability to penetrate the hair strand and nourish it from deep within. It also protects hair by forming a protective barrier on the strand surface. Through this action, it strengthens hair strand and makes it less prone to breaking. Olive oil locks moisture within the hair shaft: Its oily nature prevents moisture from escaping from the surface of the strand. By supplying hair growth enhancing nutrients from deep within, it nourishes each strand and promotes faster hair growth. Improves blood circulation: Massaging olive oil into eyelids promotes blood circulation through the hair follicles in the area, resulting in faster and thicker eyelash growth. Olive oil provides hair-loving nutrients: Olive oil is densely packed with hair growth enhancing nutrients like essential fatty acids, vitamin E and oleuropein that stimulate faster and denser hair growth. Olive oil makes eyelashes appear darker and silky: By rehydrating hair strands and making them thick, olive oil helps eyelashes appear dense. This adds more definition to the eye and makes it more attractive. 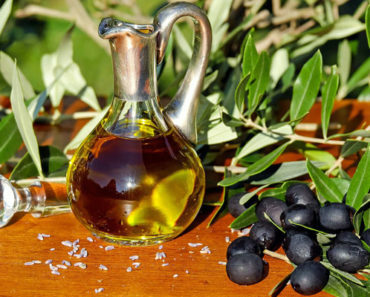 Olive oil improves darkness of the eyelid base: Eyelashes, like hair, fall out naturally. Application of olive oil promotes fresh growth of new eyelashes and the eyelid area appears dark and well-defined due to the continuous production of fresh eyelashes. Olive oil reduces fall out of eyelashes: Excessive use of instruments like mascara brushes and eyelash curlers and cosmetic products can affect the health and thickness of natural eyelashes. Olive oil repairs such damage and restores the original appearance of eyelashes. Continuous and consistent use is necessary to enjoy the benefits of any natural treatment. So, do not expect overnight results when using olive oil for eyelash growth. You will have to include olive oil treatment in your daily skin care regimen for several weeks before you can obtain visible results. Keep your expectations realistic and persistent in your efforts and you will be rewarded with thicker and darker eyelashes over time. Since the eye area has very delicate and sensitive skin, you should pay close attention to hygiene and safety of all the products applied to this area. Make sure to use a clean and airtight container that is free from any moisture to store olive oil for your eyelashes. Also place it in a dry location, away from sunlight. For maximum effectiveness, olive oil should be regularly applied to the roots of your eyelashes. You can use a fresh, clean cotton ball for the purpose. Or use a clean mascara brush that has no makeup residue on it. It is best to let the oil sit on the hair surface for some time, so it can penetrate the hair shaft and work its magic. Try to apply it at bedtime and leave it on while you sleep for best results. You can rinse it off in the morning with lukewarm water. Here are the different steps to follow when using olive oil for eyelashes. Clean the eye area and ensure it is free from makeup and moisture. 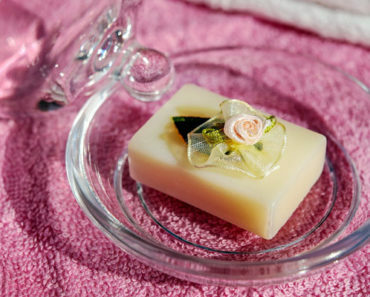 Pour few drops of olive oil onto a clean cotton ball or dip a clean eyelash brush into olive oil till it is just coated. Close your eyes and gently apply the oil to the baseline of your eyelids till it is well-coated. Make sure that the oil covers the entire hair strand. Prevent oil from entering the eyes as this can result in severe irritation. Wash your eyes thoroughly if this happens. Leave the oil on for as long as possible, preferably overnight, for the product to do its magic. Wash the oil off with lukewarm water after it has sit for suitable amount of time. You can also use your regular eye makeup remover to remove any residue. Continue this process every day till you start seeing results. Although olive oil by itself is an amazing product for the growth of eyelashes, you can further enhance its effectiveness with the addition of another ingredient—Aloe juice. Aloe Vera juice is a rich source of hair-growth stimulating ingredients and helps to condition and strengthen brittle hair strands. It is the perfect companion to enhance the effectiveness of olive oil. For best results, use freshly squeezed aloe juice with olive oil as follows. Olive oil – enough quantity to just coat the eyelashes. Aloe juice – few drops freshly squeezed from an aloe leaf. Mix few drops of freshly squeezed aloe juice with the required quantity of olive oil and gently apply it to the roots of your eyelashes. Let it sit for the desired amount of time. Then wash it off with tepid water. If you visit a grocery or health store, you will see a variety of olive oil bottles. Their labels will have terms like extra-virgin, cold pressed, refined or organic. So, how do you decide which of these is best suited for growing thicker eyelashes? Use this checklist to look for the important things when making your choice. 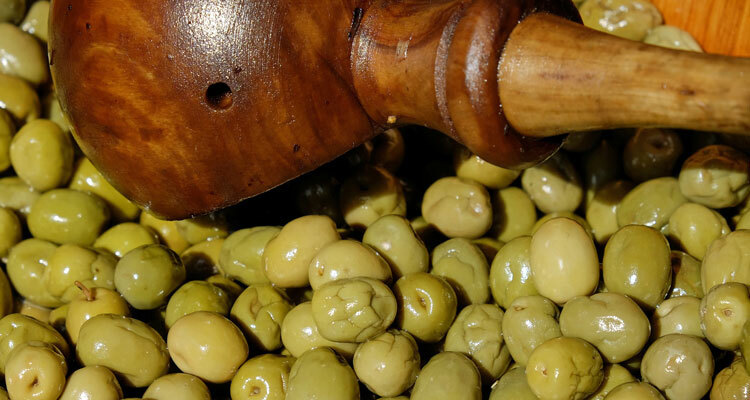 Method of extraction: Olive oil is extracted from fresh olives by applying mechanical pressure to the fruit, either in the presence or absence of heat. The yield of oil is higher when heat is applied. However, heat also destroys the delicate flavors and aromas of the oil. Cold-pressed oil is purer and of better quality. The term “extra-virgin” olive oil also refers to cold-pressed oil and this type of olive oil is obtained from slightly riper olives. Hence look for the terms “cold-pressed” or “extra virgin” to ascertain purity and quality. Expiry date or age: Olive oil has a short shelf-life, beyond which its qualities rapidly deteriorate. So, ensure that you buy fresh oil that is not past is expiry date to enjoy its potent benefits. Authenticity: You will come across diverse types of olive oil like refined olive oil or pure olive oil. Refined olive oils use olives that are not in the best condition. Manufacturers will also blend this type of oil with other solvents to mask any bad flavor. 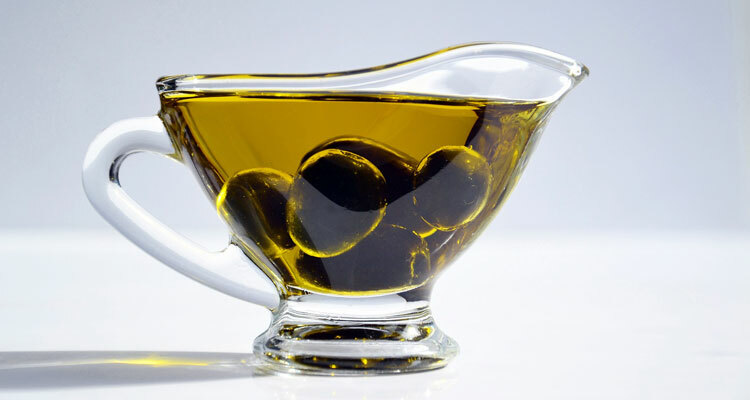 Hence, refined oils are inferior in quality to virgin or extra-virgin olive oil. So, check the ingredients list to ensure that the oil does not have other additives. In short, it is important to only opt for virgin, extra-virgin or cold-pressed olive oils for use in hair and skin care treatments for best results. Unlike refined olive oils, these retain the benefits of the fruit and they are produced with closer attention to quality. So, only opt for virgin olive oils and cold-pressed oils. An even superior choice is organic olive oil, which is produced from olives that are grown in the absence of fertilizers, pesticides and all other chemical agents. The resulting product is free from side-effects due to the absence of chemicals of any form in it. Hence this is highly recommended for direct application to skin and hair. Olive oil is safe for consumption and topical application. This is the reason it finds extensive use in various hair and skin care treatments. Pure olive oil can safely be used around your eyes. It is important to use just a few drops, since too much oil can make your eye area feel greasy and sticky. You should be very careful when applying it, so that it does not enter inside your eye. Always close your eyelids during application and use a clean cotton ball or brush for application on your eyelashes. This will prevent the oil from entering inside your eyes. In case the oil accidentally enters the eye, it can cause severe irritation. If this occurs, promptly wash the eye area with clean water till the irritation no longer persists. Ensure that you stop usage of olive oil for your eyelashes when you have an eye infection, injury or are applying topical medication of any type in the eye area. Check with your medical practitioner before resuming use of olive oil in such cases. As we have seen earlier, the purity and quality of olive oil will decide the extent of results. Use only the best quality olive oil that is free from additives to enjoy best results. Not all women are blessed with naturally strong and thick eyelashes. Nevertheless, expensive salon procedures are not necessary when it comes to achieving beautiful eyelashes that make your eyes pop. With simple but persistent efforts and the right ingredients, it is possible to grow thick eyelashes that will beat all synthetic extensions. Olive oil, being a powerhouse of nutrients with amazing skin and hair care properties, is one of the most effective ingredients for long and strong eyelashes. Use it daily and your thin eyelashes will be a thing of the past. Try it to experience solid results in just a matter of weeks. Castor Oil For Eyelashes Growth – How Effective Is It?